05 Apr How to index the backlinks? Before indulging further in the matter, let us know a bit about what the backlinks actually are. Well, simply speaking, a backlink is a kind of link that a website gets from another website. A proper backlink has a huge role to play in validating a website’s prominence in the field of search engine results. And for this reason, backlinks are considered to be pretty substantial in enhancing the SEO ranking of a website. Let us provide you with an example to make the concept a bit clearer- Website A is a restaurant, and it got its backlinks from website B, which is a food blogging website, then you can consider that website A has gained it backlink from the website B, and that is quite valuable. 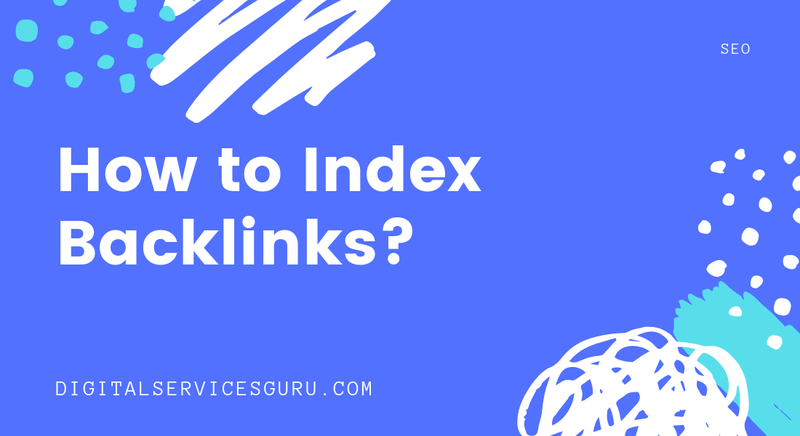 Now, without proper indexing, there is a point of availing a backlink, and here we are going to guide you about how to index the backlinks. The first thing, which you have to take care while indexing a backlink, is to let it happen. In case, if you are achieving proper, natural and relevant backlinks, then there is no point of worrying. But, if you are getting some backlink types, which are web 2.0s, then you must start caring about indexing your backlinks. The next indexing tactics, which you should look for is to build tier two links. Now, what is a tier two link? Well, the concept of tier two links is pretty simple. All you have to do is to build links to pages, which will be linked with your website- No matter in what way you are about to do that. Here, you can take the help of social media to promote the articles, which will link to your site. Well, this is the most preliminary way to index your backlink. Well, you don’t have to work much in this process as you cannot expect much result from this. To do this, you can take help from several pinging services, which will help you in the process of indexing your backlinks. While doing this, you have to make sure don’t go crazy while pinging your links and use any one of the services as most of them are almost the same. Step 1- Create a new web 2.0 and give it a title. Step 2- Generate a new blog post. Step 3- Do not use more than 10 URLs of your backlink and use naked link anchor text. Step 4- Craft a brief introduction. Step 5- After publishing the post, wait for a while. Within two days after your post, your link will be indexed. So, this is the way to index backlinks.